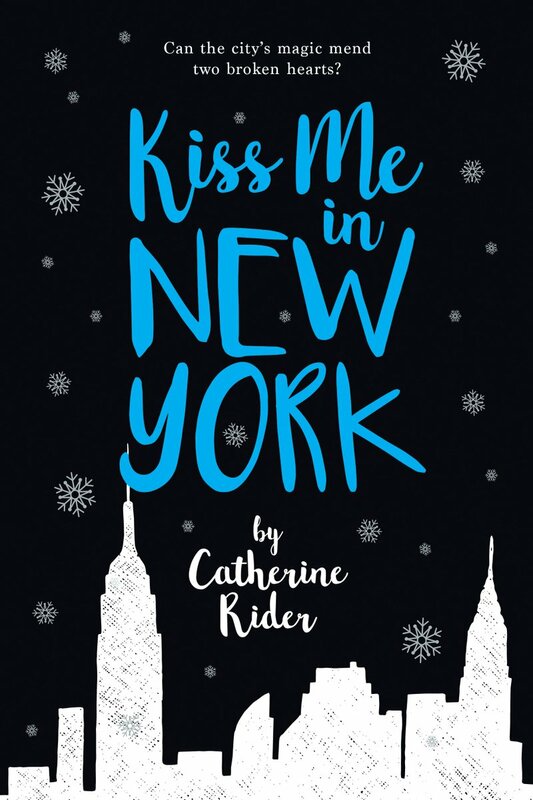 Kiss Me is a love story that starts with a chance encounter in the JFK airport. 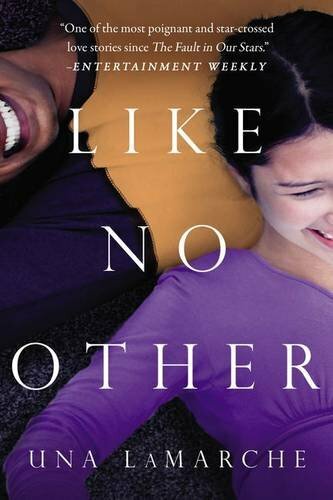 After commiserating over their recently ended relationships, two strangers, British-born Charlotte and New Yorker Anthony, decide to spend Charlotte’s 17-hour layover by fulfilling the tasks suggested in a cheesy self-help book for Getting Over Your Ex. As they embark upon each task, they end up touching not only each other’s lives, but the lives of others who have found themselves alone on Christmas Eve. At only 200 pages, this is a brisk, merry romp through the YA rom-com genre that makes for perfect bedtime reading during the holidays. Recommended for Gr 8 Up for some language. In this lavish collection of chilling tales, an orphaned girl watches as her sisters are called to the side of a shadowy stranger; a new bride is plagued by the song of her ghostly predecessor; a murdered brother won’t stay dead; a pair of fake psychics is haunted by a vision only one of them can see; and a girl learns that her seemingly perfect sister-in-law has a creepy, crawly secret. 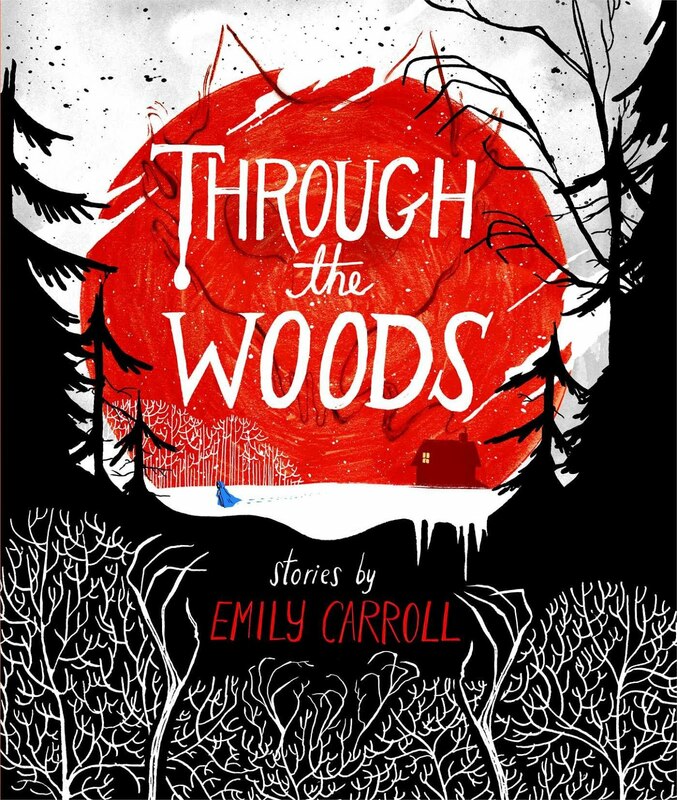 Told with picture-book simplicity and illustrated in loving detail, this graphic novel is unique, surreal, and frightening. 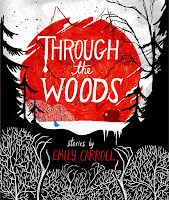 While Carroll uses some brilliant visual technique to imply any violence that happens off-screen, readers who aren’t normally horror buffs should use caution when browsing this collection—it is definitely not for the faint of heart. Recommended Gr 8 Up. Neither Devorah, a Hasidic Jew, nor Jaxon, the son of Caribbean immigrants, are natural-born risk-takers—but that all changes when they get stuck together in an elevator. Although they’re only trapped for a short while, each makes an indelible impression on the other, so much so that when they run into each other again, they decide to risk it all be together. 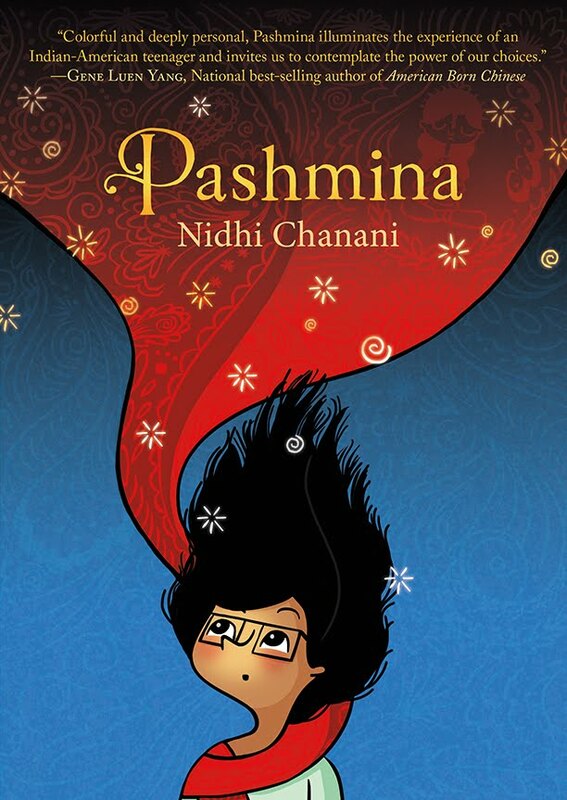 Can they overcome their family’s prejudices to maintain this fragile first love? Authentic first-person voices, important lessons about love and relationships, and intriguing insight into Hadisic and immigrant culture make this a definite win for the We Need Diverse Books movement. Recommended for Gr 9 Up for language. Khalid, the young Caliph of Khorasan, has a rather horrifying habit. Each night, he takes a girl to wife, only to have her strangled the next morning. 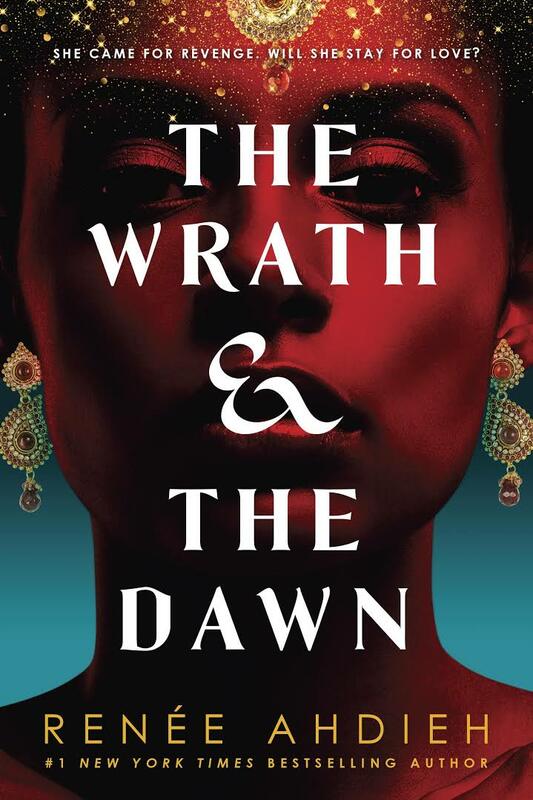 The feisty Shahrzad, whose best friend was the most recent of these ill-fated brides, plans to break this deadly cycle by marrying, and then murdering, this teenaged monster. As the end of her wedding night approaches, she turns to storytelling in order to stave off her imminent demise. Although initially irritated by this ruse, Khalid can’t help but be intrigued by this clever new wife—and allows her to continue her stories for several more weeks. As she waits for just the right moment to strike, Shahrzad not only learns of the tragic curse that holds sway over Khalid, but also gets to know the man behind the monster. Little does she know that as she struggles between this new-found romance and her duty as an assassin, her friends and family are mounting a secret rescue mission to save her life, one that could, unintentionally, threaten the stability of the kingdom. Endearing side characters, a sweet romance, and lush descriptions of food, setting, and dress make for a sumptuous, well-written fairy tale. The only down side to the novel is that the author ends the story abruptly, leaving nothing resolved. This is probably because it’s Book 1 of a duology, leading me to believe that the publisher intended readers to consume Wrath and its sequel, The Rose & the Dagger, as a single work, rather than as two separate books in a series. 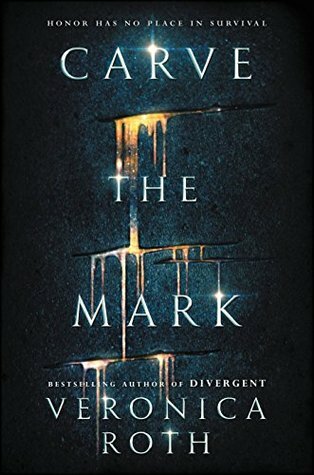 This leaves readers torn between two choices: they can either immediately spring for part 2 (The Rose & the Dagger), or, if they’re not that taken with the story, simply accept the lack of closure and savor the work as it is: a beautifully written love story with an unsatisfying ending. Recommended for Grades 9 Up for fantasy violence, some language, and mature romantic content. 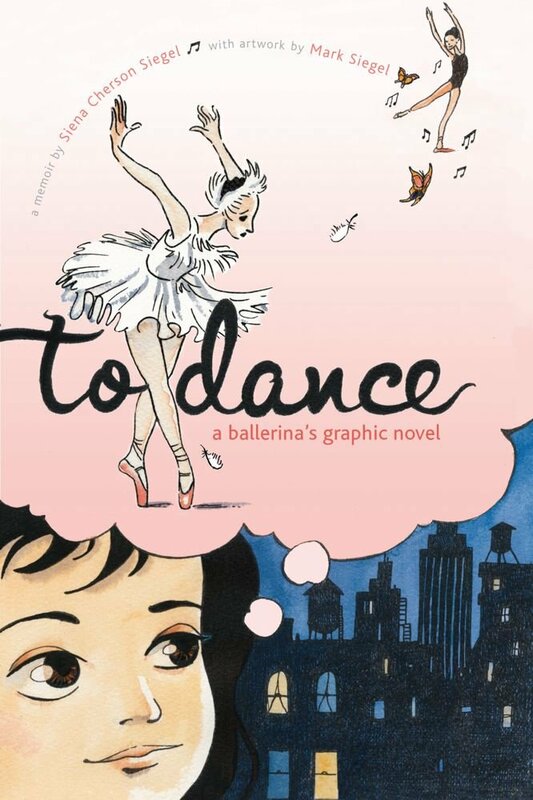 Husband/wife team Siena Cherson Siegel and Mark Siegel collaborate to produce a graphic memoir of Siena’s ballet training from ages 6 to 18. Simple but effective color drawings illustrate the hard work and sacrifices required in this honest, kid-friendly memoir geared towards older children. The story of her experiences is a fine model for young girls who wish to follow—or rather, dance—in her footsteps. Recommended for Gr 6 Up.